For decades Damian Lazarus has been on a sonic journey through the world’s best parties taking notes along the way for his own nightlife masterpieces, notably Get Lost and Day Zero. 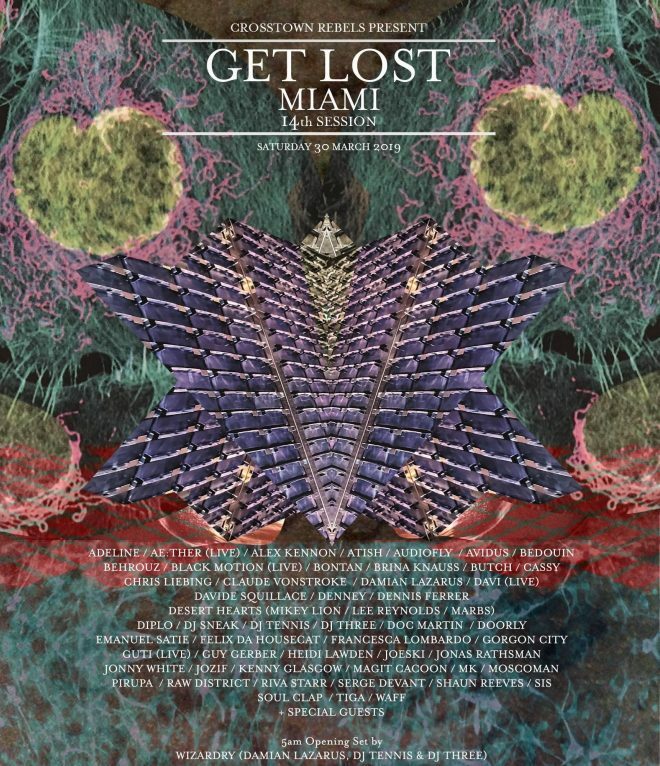 Today he reveals the line-up for Get Lost, a sprawling 24 hour party piece celebrating its fourteenth year in Miami, welcoming over 60 artists who sit at the forefront of global underground electronic music. What begun as an intimate after-hours, Get Lost has now become one of the can’t miss moments of the year, a destination for those who seek the more adventurous and experimental strains of dance music. The dedication to Get Lost’s after-hours roots remain, though the party now covers a massive 24 hours, with Damian Lazarus, accompanied by DJ Tennis and DJ Three, collectively performing as Wizardry, opening the party at 5am Saturday morning. Get Lost’s fourteenth session welcomes some of dance music’s true flag bearers, representing a world wide sweep of some of the scene’s most innovative acts, including Frankfurt techno titan Chris Liebing, the inimitable polymath Tiga, Dirtybird ringleader Claude VonStroke, Panorama Bar icon Cassy, house pioneers Felix Da Housecat and MK, and a can’t miss performance by ‘Disco Halal’ conductor Moscoman. Surprise sets and curveballs have always been instrumental to Get Lost’s immersive and bewitching marathon experience, and its evolving outdoor terrace has always hosted unexpected moments of magic from superstars and emerging acts. A truism that remains today. This year Get Lost will welcome an off-kilter deep techno set by longtime admirer of the underground and global icon Diplo. While the underground’s new guard of selectors will be on full display, with highly anticipated sets ahead from the breathtaking South African giants Black Motion, the unstoppable Desert Hearts Crew, and live sets from Crosstown’s rising kin DAVI and the label’s freshest signing AE:THER. Get Lost will tip its hat to true underground roots with sets by Doc Martin, Dennis Ferrer, and DJ Sneak, alongside returning favorites Guy Gerber, Francesca Lombardo, Soul Clap, Jonas Rathsman, Serge Devant, Shaun Reeves, Behrouz, Kenny Glasgow, Jonny White, and wAFF. 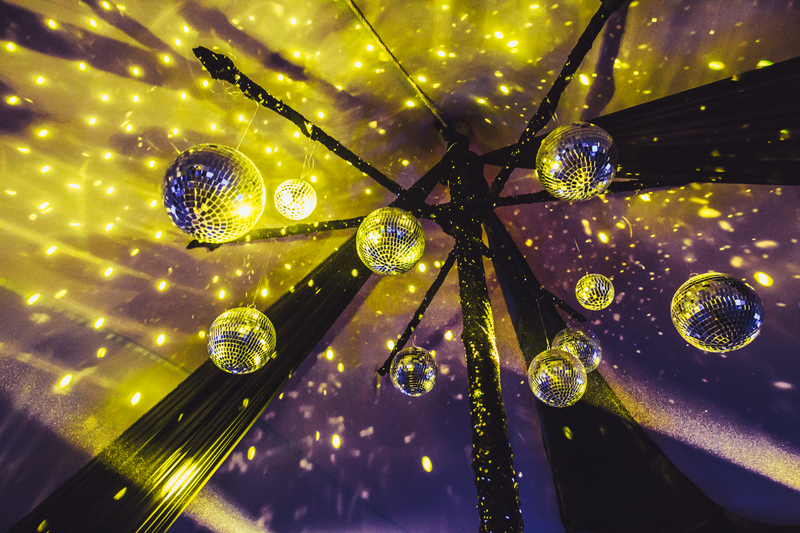 Get Lost will continue its legacy as the party artists leap at the change to play each year, where unannounced selectors leave partygoers lost for words and some of the world’s most celebrated stars dance amongst the crowds for hours on end. This is the familial get together for the global underground movement, a place to experiment and push boundaries beyond recognition. The party will offer four distinct dance-floor environments coupled with immersive art installations, performances, and secret spaces to explore. From the smoke filled nightclub, to its expansive shady courtyard and intimate outdoor stages, Get Lost is an experience to lose yourself in, with surprises spread from sunrise to sunset beneath the moon and stars.